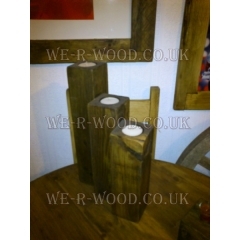 Compliment your oak furnishings, such as your coffee table or sideboard with our candle range. 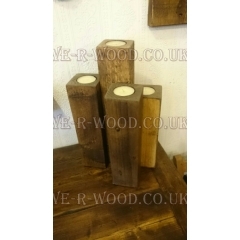 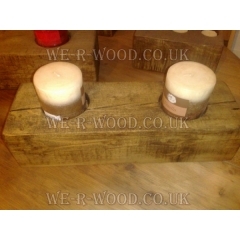 Our hand crafted, hand finished wooden bespoke Block Candle can be finished in wax, lime w..
Our hand crafted, hand finished wooden bespoke Set of 3 Block Candles 4 - 6 - 8 inches can be .. 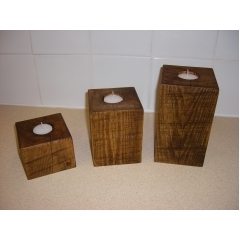 Size from 14inch, 12inch and 10inch Our hand crafted, hand finished wooden bespoke Set of 3 Tripl..
Set Of 4 Block Candles Our hand crafted, hand finished wooden bespoke Set of 4 Block Candles can ..